I'm excited to be taking you through this long awaited tutorial, finally. I'll show you how to build a complete blog application from scratch using PHP and MySQL database. A blog as you know it is an application where some users (Admin users) can create, edit, update and publish articles to make them available in the public to read and maybe comment on. Users and the public can browse through a catalog of these articles and click to anyone to read more about the article and comment on them. Can create, view, update, publish/unpublish and delete ANY post. Can also create, view, update and delete topics. They cannot publish a post. All publishing of posts is done by the Admin user. A many-to-many relationship exists between posts and topics. The public page lists posts; each post displayed with a featured image, author, and date of creation. When a user clicks on a post, they can view the full post and comment at the bottom of the posts. A Disqus commenting system is implemented which allows users to comment using social media accounts with platforms like Facebook, GooglePlus, Twitter. Okay straight away let's start coding. We'll call the project complete-blog-php. On your server directory (htdocs or www), create a folder named complete-blog-php. Open this folder in a text editor of your choice, for example, Sublime Text. Create the following subfolders inside it: admin, includes, and static. admin: Will hold files for the admin backend area. Files concerned with creating, viewing, updating and deleting posts, topics, users. Between the <head></head> tags, we've included links to some Google Fonts. There's also a link to our styling file public_styling.css, which we'll create in a minute. Notice also the <div> element with a class set to container that wrap our entire application including the navbar, page content and footer sections of the page. To view this in your browser, go to http://localhost/complete-blog-php/index.php. Doesn't look as cool as you would've loved right? The static folder as stated earlier will hold, among other things, styling for the site. Create 3 subfolders inside static folder: css, images, js. In the css subfolder you just created, create a file named public_styling.css. This code starts with default styling for the site followed by styling for navbar and that for the footer. Reload the page in the browser. Our simple page now has a nice looking navbar with a logo, some beautiful fonts, and, if you scroll down, our footer is hiding somewhere at the bottom. Great! Our page, however, has a few code segments that will be repeated across many other pages of the website. For instance, most pages will need a navbar and the footer as well as the links to the styling and fonts that are in the head section. 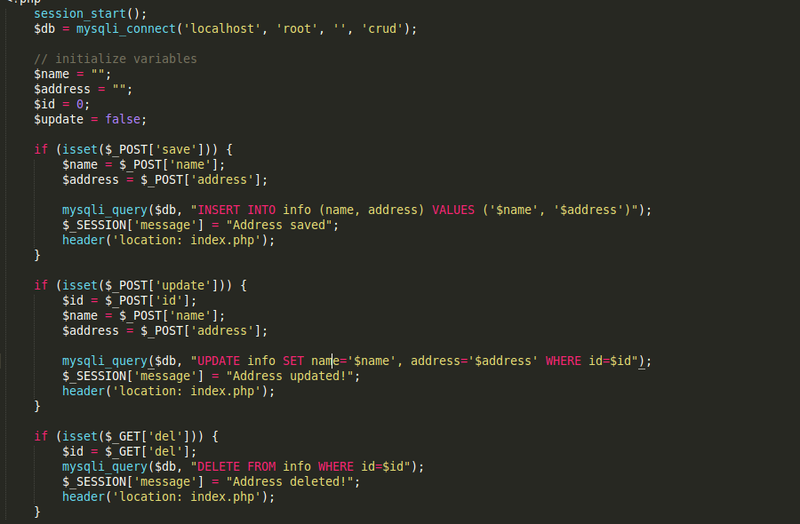 In PHP, we can write a piece of code in one file and include it at a particular position in several other files. This is the same as writing that same code in those locations but with the advantage that it prevents repetition of code. We do this using the include or require keywords. As you may have already guessed, it is time to make use of our includes folder we created at the beginning. The sections that are repeating are the head section, the navbar, and the footer. So in your includes folder, create 3 files namely head_section.php, navbar.php and footer.php. Go to the index.php file, select the part of the code from the first line down to and including the <meta charset="UTF-8"> tag directly above your <title> tags and cut it. 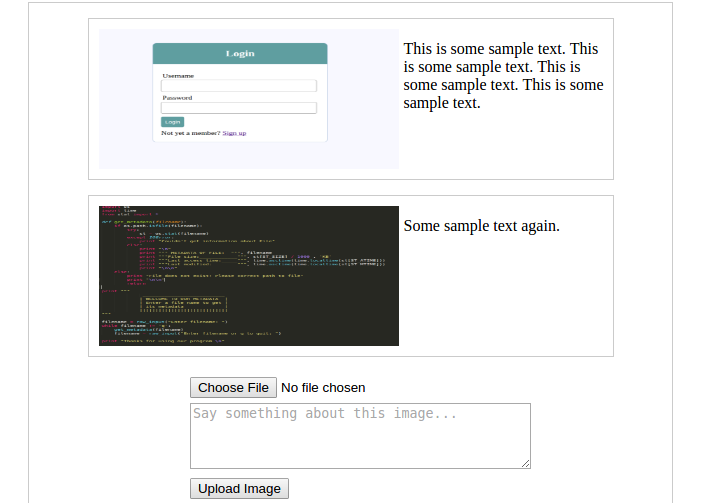 Now head over to the newly created file complete-blog-php/includes/head_section.php and paste the code in it. Note that the line that immediately follows this include line is the <title> tag. We didn't include the <title> tag in the head_section.php file because the title of each page might have to be different from the others for Search Engine Optimization purposes. Now let's do the same with the navbar section and the footer. If you reload the page there won't be any change observed. PLEASE DOWNLOAD this image, rename it to banner.jpg and place it in your complete-blog-php/static/images/ folder. It is the background image to the banner. If you did everything correctly, then you'll have a beautiful banner with the image banner.jpg on its background, a login form to the right and an inspiring quote together with a 'Join Us' button on the left. Cool! ROOT_PATH is set to the physical address with respect to the operating system, to the current directory on which this file (config.php) resides. On my machine for example, ROOT_PATH has the value /opt/lampp/htdocs/complete-blog-php/. It is used to include physical files like PHP source code files (like the ones we just included), physical downloadable files like images, video files, audio files, etc. But in this tutorial, we will use it only to include PHP source files. I hope I explained those two variables well enough. If you didn't understand, just stick around, you might figure it out as we use the variables. This way of including files has the advantage that, if later on some files are moved to other directories, we may not need to update the includes. Also if we decide to change the path to the root directory, we will only do that in one place, that is, in the config.php file. We are done with the basic setup of the public area. So far the application isn't dynamic. We haven't created a database yet and if you click on the join us button, you'll get an error that says "file not found". 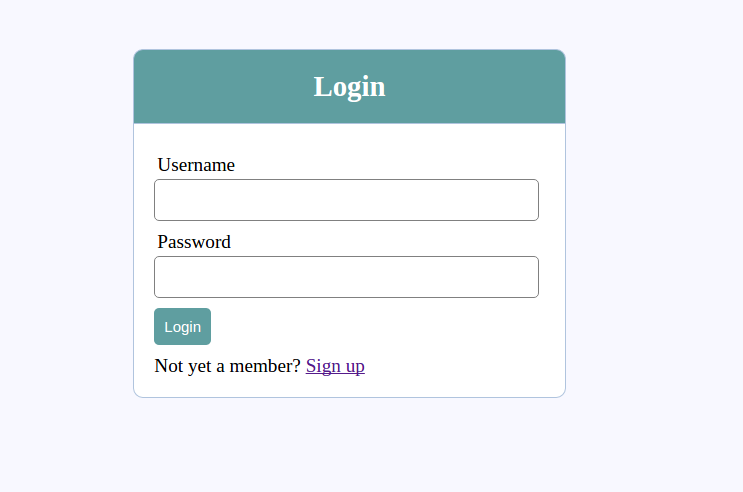 User login has not yet been implemented too. These will all be dealt with in the next parts of this tutorial. Next part: The database design.